On November 22, 2005 stores nationwide in the U.S. placed the Xbox360 on their shelves ready for sale. During this time, hundreds of gaming fans spent the night enduring chilling tempertures in order to be the first ones to obtain their hands on the new Xbox360 video game console. Video game enthusiasts camped out in storefronts, braving rains in Manhattan and dense Seattle fog, to gain their hands on the new video game systems. The Xbox 360 was designed to display realistic graphics, play movies and music and to linkup with other gamers over the Internet. The Xbox 360 is a system designed for more power and to draw in a wider audience. The Sony Playstation 3 and Nintendo Revolution to be sold next year, can't compete with the intensity of the Xbox 360. 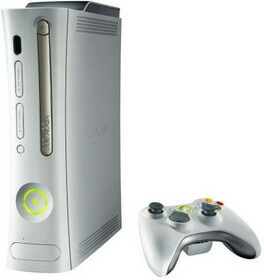 The Xbox 360 is a total redesign of the original bulky Xbox, the new Xbox is white and silver with a lot more curves. The slimmer profile of the Xbox 360 is a sight to see, it has a detachable front plate that can be swapped out for a different design or color. Just before midnight of the launch date, Microsoft's Bill Gates showed up at a Best Buy in Seattle to hand out the first Xbox 360 console system and play a few games at the store. © 2005 FoundryFive.com All rights reserved. Resources for the Xbox360.